Which of the two towers in Sagrada Familia? Nativity or Passion? - Find experts' recommendation. Is it worthwhile to buy Madrid 3 Museum Pass? Madrid experts share their opinion. Did you know there is a way to enter all of Park Guell for free? How many days in Madrid is enough? Experts offer their recommendations. Booked on a cruise out of the Port of Barcelona? Know the best hotels near Barcelona cruise port. How to find the best short term vacation rentals in Seville. Planning a day trip to Girona? Get an expert crafted Girona day trip itinerary. Watch an authentic flamenco performance for free in Seville. Where to make a base in Basque Country - Bilbao or San Sebastian? Find the best towns to stay in Costa Brava. Tot Montserrat or Trans Montserrat Pass? Rome is an overwhelming city to visit for its centuries of history, ancient Roman ruins, amazing art, architecture, shopping, and of course the Vatican. You can decide to stay in Rome for a day or a week and you will have enough to do, including tasting all of Italy’s cuisine. Seeing all of Italy is possible even if you are based in Rome for most of your time. The transport connections from Rome touch the far reaches of Italy, and even major destinations like Venice, and Florence, are only a few hours away. You can have a very relaxed trip to Rome despite the crowds if you book in advance, find the right place to stay, and know what to eat and drink. Also be prepared to walk a lot because despite good transport it is easier to get around Rome attractions on foot. Florence has a slow charm unlike any other Italian city. The historic centre is packed with Renaissance art, architecture, and amazing food, around every corner. The main attractions Uffizi, Duomo, and Accademia, are easy to visit and all located close together. With Tuscany in its backyard, there is no shortage of day trips you can take from Florence. Transport connections are excellent, and the food and wine of the region are an experience in itself. Favourite destinations are Siena, San Gimignano, Pisa, and towns in Chianti region. Many visitors find 2 or 3 days to be a perfect stay in Florence. Apart from the main attractions, also cross over the Arno river to more local districts of the city. All of Spain comes together in Madrid, its cultural, economic, and political capital. Madrid is about Spanish Royalty, world class museums, and food. Experience them all, however long you decide to stay in Madrid. There are exciting day trip options from Madrid. For example, a trip to Toledo brings together the influence of Christian, Islamic, and Jewish culture. Or visit El Escorial to see the largest Royal building in Spain. Madrid is the only city in Spain for authentic tapas from all the regions of Spain. Flamenco is at its best in Madrid, comparable to anywhere in Andalucia. Book a flamenco show at one of the tablaos. Seville has centuries of Arab history combined with more recent Christian and Jewish influences. 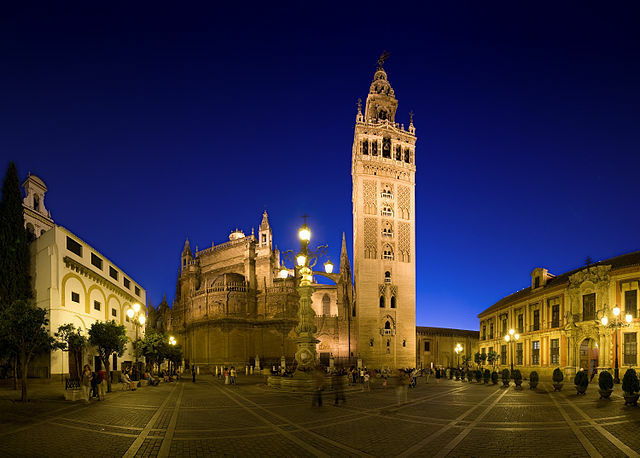 The historic centre has the Seville Cathedral and Royal Alcazar, works of art combining Moorish and Renaissance architecture. Take the Alcazar Royal apartments tour, and the Cathedral Roof tour. Visit Triana, a working class and local district with a very different vibe compared to history, royalty, and religion of the historic quarter. You must experience an evening of Flamenco and Tapas. Choose from authentic flamenco shows (some are free), and tapas tours run by locals. Make Seville your base in Andalucia, there are so many day trips you can take. Peppylocals.com makes travel research quick and easy. Even fun! You no longer need to put in hours of hard work to make sense of information overload. We give you accurate answers to the travel questions for your destination. Responses by our destination experts bring together local insight and pride, along with a genuine desire to help you. Our Expert answers are published based on their helpfulness. Our goal is to make it easy for you to experience a destination. So our experts will not hesitate to include links to other travel sites that you may find useful as reference. Every destination on peppylocals.com includes a quick guide section. Do visit this simple section to get an overview, along with links to important content for your destination. Over the next few months you will see more popular destinations added here. © 2017 PeppyLocals. All rights reserved.